Robert Olivieri, MD graduated from Department of Defense medical school, Uniformed Services University of the Health Sciences, F. Hebert School of Medicine in Bethesda, MD. Prior to medical school he attended Hobart College and Columbia University. He completed his internship and residency at the National Naval Medical Center in Bethesda, MD. Since retiring from the Navy in 1998, he has been practicing ambulatory pediatrics at our Hockessin office. Dr.Olivieri's professional interests include Infant Care and Development, Parenting Issues, Respiratory and Infectious Diseases, ADHD, Nutrition, and Adolescent Care. Dr. Olivieri is married to Nancy Petit, MD and they have a son Alexander and fraternal twins, Lauren and Andrew. 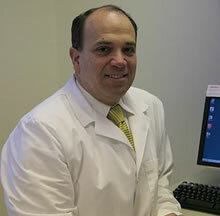 Dr. Olivieri is a board certified pediatrician and Fellow of the American Academy of Pediatrics. Dr. Healy is a native of Wilmington. She attended Archmere Academy for high school and then received her Bachelor of Arts in Psychology at Boston College. She went on to attend medical school at Thomas Jefferson Medical College and completed her pediatric residency at Emory University in Atlanta, Georgia. Dr. Healy joined the Hockessin practice in 2000. Her husband and three daughters keep her busy at home. She enjoys jogging and weekends at the beach. 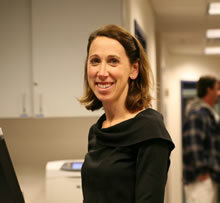 Dr. Healy is a board certified pediatrician and Fellow of the American Academy of Pediatrics. Dr. Amy Chang hails from Long Island, NY. She earned both her BA in Psychology and her MD degree from The George Washington University in Washington, DC, and then completed her pediatric internship and residency at Thomas Jefferson University/AI duPont Hospital for Children here in Wilmington. She joined the Hockessin practice in 2004. 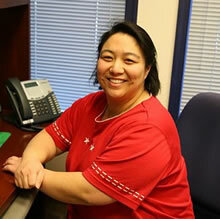 Dr. Chang is active in her church, and enjoys reading, traveling, and all things musical. Dr. Chang is a board certified pediatrician and Fellow of the American Academy of Pediatrics.